It’s stopped blizzarding and is now crisp and sunny. An absolutely gorgeous afternoon. So we decided to go out for a walk around the neighborhood. 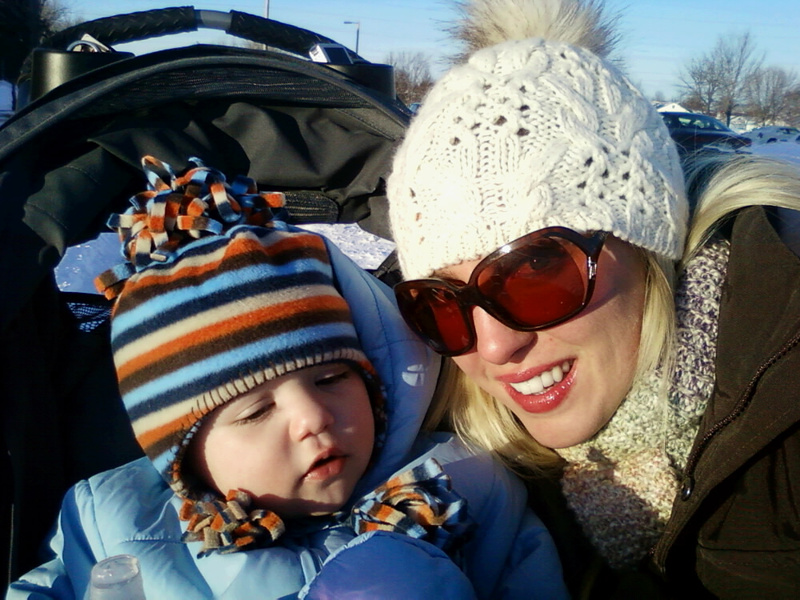 We quickly realized that despite the beauty of the fresh air, it was much to cold for a stroll. (Even in our snowsuits.) After about 10 minutes, we rushed back to the warmth of our apartment. Hahaha…Brook, that is too funny, but I commend you for trying!